KingFisher is different. A KingFisher boat not only looks different but it is Canadian, and that’s somewhat different as there are so few major Canadian boat manufacturers. How does it look different? Well it sort of has that “commercial” look to it in certain ways and in certain features. And that may be since KingFisher builds boats for government, police, and commercial entities – boats used for oil spill response vessels, Canadian Coast Guard search and rescue, Ontario Provincial Police patrol vessels, university research vessels, and even a landing craft. But make no doubt about it, KingFisher builds boats for the fishing enthusiast, pretty well no matter what body of water or what kind or style of fishing you love. In KingFisher’s words, “Our first aluminum fishing boat hit the water in 1959. Since then over 130,000 boats have been purchased by avid fishermen and families from Alaska to California, to Quebec to Russia.” From its 53,000 sq. ft. “Center of Excellence” headquarters and manufacturing facility in Vernon, British Columbia, KingFisher offers for 2015 over forty models ranging from sixteen to thirty-three feet in five series including eight extremely shallow draft River Jet models up to fully enclosed cabin Offshore ocean and big water rigs. 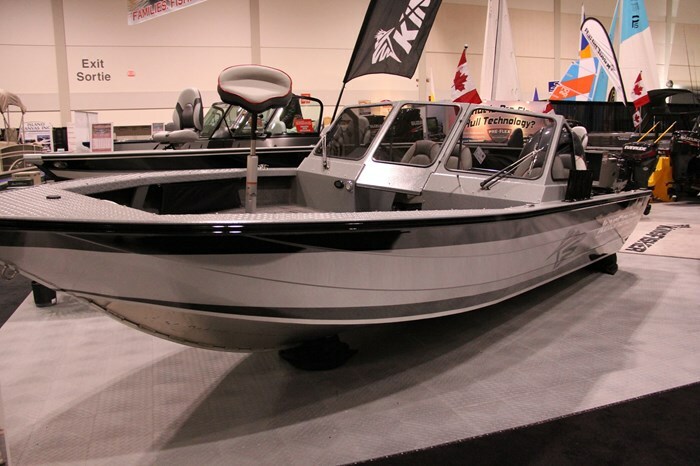 The 2025 Flex Spt XP at twenty feet, one inch length overall on a full eight foot beam, is second largest of the fifteen model Multi Species series of deep-V fishing boats ranging from eighteen to twenty-one feet and available in tiller, side console, and dual console configurations. To clarify, the 2025 Flex is available in Spt (Dual Console), TL (Tiller), or SC (Side Console). What the “XP” designation changes is to move the console(s) aft to provide a larger bow casting deck. The Flex Spt XP has full length, high performance delta keel, engineered full length reverse chines, performance lifting strakes and a one-inch thick solid stock bow keel guard and centre keel on a variable 18-degree deadrise hull. Aluminum bottom thickness is 0.160 inches and side thickness, 0.125 inches. It is rated for up to 250 horsepower. Let’s first explore the “XP” (extended bow platform) features of this model. 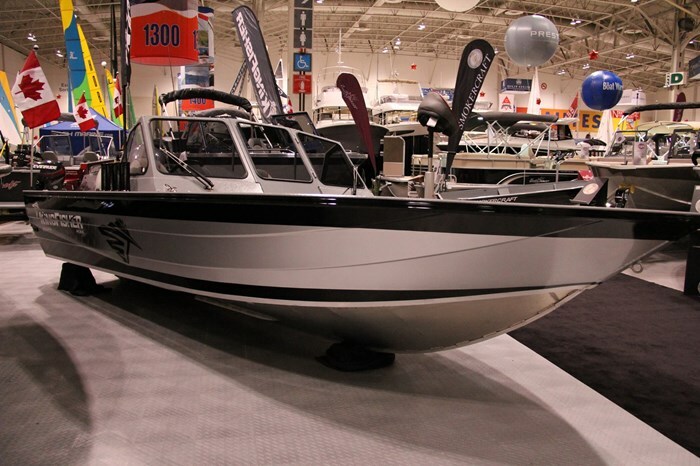 The bow platform or casting deck is a full two-feet longer than in the regular (non-XP) 2025 models created by moving the driver and passenger consoles further aft. This extra bow platform length allows KingFisher to install three Unilock removable pedestal seat bases on this platform. There are three more of these same standard seat bases in the cockpit and a seventh installed on the stern platform. Two swivel Pro Angler seats with pinchless hinges on removable pedestals are supplied standard. 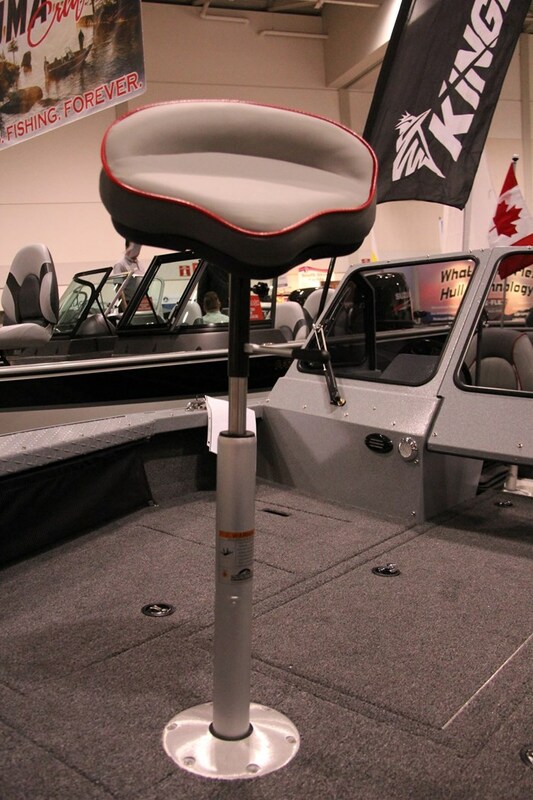 The driver has a separate swivel Pro Angler seat on a permanent pedestal mounted at the helm. There are huge port and starboard dry storage compartments plus side storage with cargo nets in the bow platform plus a centre bow deck rod storage compartment that can accommodate eleven rods up to nine feet, three inches long. 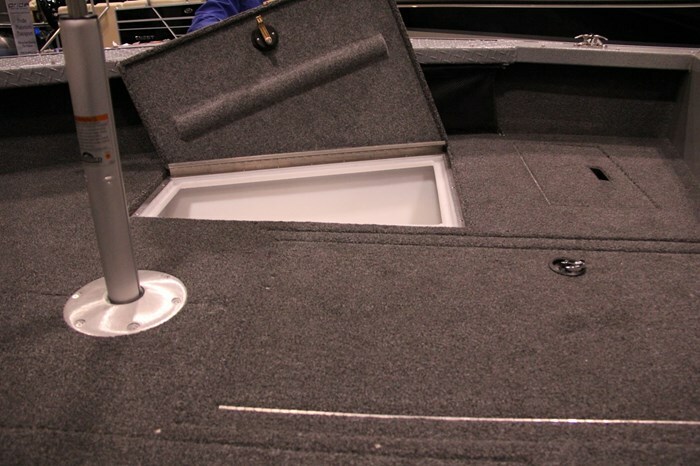 A 24-gallon (90 L) re-circulating livewell with timer is located within the stern platform. This stern platform converts to a full-width flip-up bench seat. Both consoles are all-welded and topped with a higher than normal welded 5-piece walk-thru windshield with tinted, tempered safety glass. 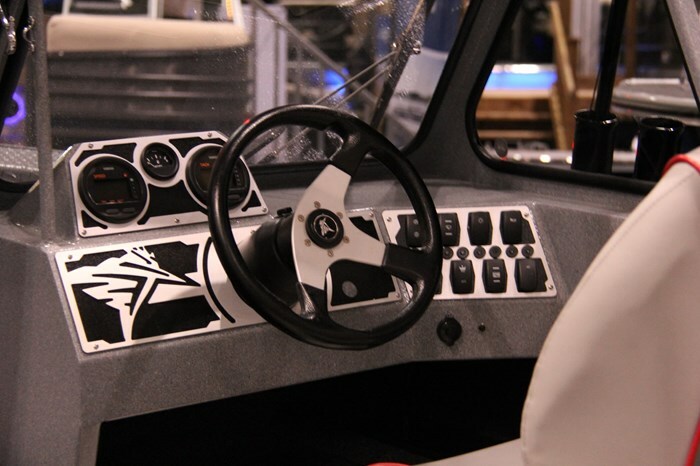 A lockable welded aluminum glove box is within the passenger dash and the welded driver’s console ahead of the standard sport steering wheel has a large flat area for mounting your choice and virtually any size of GPS/fishfinder plus dash and gunnel storage trays. 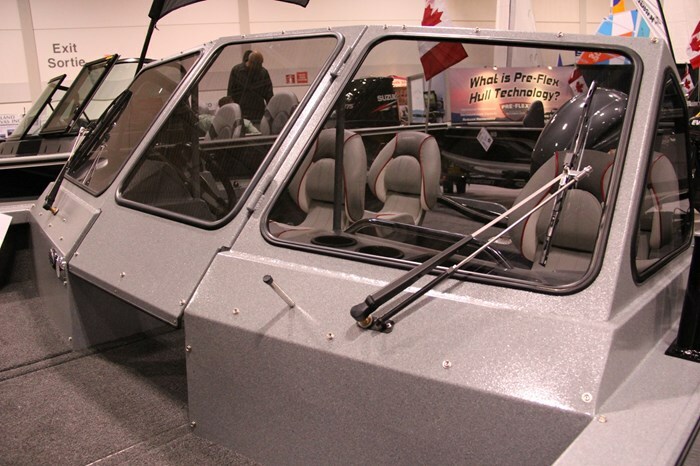 Additional notable standard equipment includes marine carpeting throughout, choice of two Zolatone speckle painted interior colours, ten choices of exterior full side paint colours, 12/24/36-volt bow trolling motor plug, battery storage compartments for three trolling motor batteries and one starting battery, plus a black, single axle EZ Loader bunk trailer. Notable optional equipment includes a Belted Package option with suspension seating upgrades, canvas, two pantographic windshield wipers, rod holders and trailer upgrades. There are also various upgraded trim packages available.